Swords Castle was built as the manorial residence of the first Anglo-Norman Archbishop of Dublin, John Comyn, around 1200. 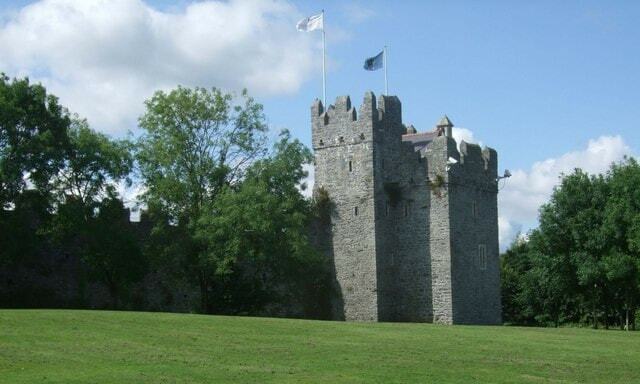 The castle was never strong in the military sense, but is unusual in that the perimeter wall of 305 metres is far larger than normal for an Irish castle. The walls enclose a large pentagonal walled area of nearly 6,000 sqm with a tower on the north, and an impressive gateway complex on the south. The castle is open to the public.